Content writing is termed as a form of writing online which is closely connected to the web marketing campaigns. This implies the creation of valuable, meaningful, and relevant content on the websites that are designed to promote or sell a particular product. Usually, the content writers work according to the client requirements such as SEO-optimized, keyword placement, content length, style, the targeted audience, and so on. 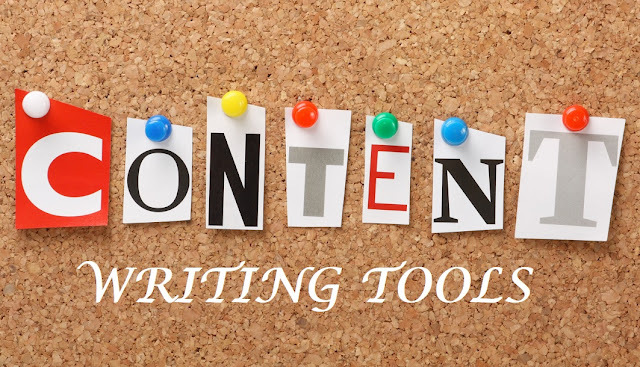 In this article, we are sharing Top Seven Powerful Content Writing Tools to help improve your SEO Content Creation Process for blogs and websites. If you are a generalist content writer, you are supposed to write on different domains (for example - digital marketing, technology, businesses etc.). So, for writing on various domains and industries, you must invest a considerable amount of time for various purposes like topic generation, researching content, understanding the writing style for different domains, placing effective introductions and meaningful conclusions, and many more. In order to successfully carry out these tasks, there are many content writing tools available today to enhance the way the content writers work and make their job easy. Each tool will serve different purposes and it’s better you make a list of these along with their login credentials so that you can start using them quickly whenever needed without wasting any time. Now, let’s dig deeper into each of the tools. Google Trends tool is ideal for the creation of breaking news stories for generating social media engagement for your blog. This tool tracks the most recent trends in the internet searches and shows them depending on your geographic location. You can use the drop-down menu to set your preferred location. When you type a search query, the page aggregates the data from YouTube, Google News, and Google Search to display the results. The results include related topics, news and search history, geographic breakdown, and sample news stories. Google Trends is certainly one of the major tools which can create major opportunities for writing. Headline Analyzer is a tool introduced by CoSchedule and it segments your headline, breaking down different kinds of words, and providing you with hints on how to enhance it. Each time, CoSchedule provides you with a score so you can try different combinations and choose the winner from them. HubSpot’s blog topic generator is an excellent tool that helps you create new and fresh ideas for your post on a regular basis. You can enter up to 3 keywords in the 3 boxes(noun 1, 2, 3) and press “Enter” key. Now, you will get different subjects which you can utilize right away and which will point you in the right direction. Hemingway app helps for effective writing by highlighting all the unnecessary garbage in your content. It makes your writing clear and bold. This app usually highlights the common errors and complex and long sentences. After placing the content in the app and clicking “Enter” button, you can observe that few sentences are marked in different colors based on the mistakes happened. If you observe a yellow sentence, split or shorten it. The red highlight indicates that your sentence is so complicated and dense, and you must try editing it till the color vanishes. Purple highlight indicates that you should use a shorter word. Adverbs are highlighted in blue. Remove them by replacing with verbs. There are other colors as well and you can easily find out the mistakes and the kind of changes to be made. Grammarly is one of the most famous apps for checking grammar and spellings. Along with identifying the grammar and spelling mistakes, it makes your text more readable and optimizes it. Grammarly automatically detects style mistakes, word choice, and punctuation as well. Grammarly sets itself apart from other apps by detecting context-specific corrections for grammar and other aspects. StackEdit tool is used for changing the text to .html or copying the text from Word, Google Docs, or WordPress without changing the format. StackEdit is a markdown in-browser editor created specifically for web writers. This tool consists of various shortcut combinations, layouts, and themes for customizing your content writing. Another functionality of the tool is spell checking and it can be synced with Google Drive and Dropbox. It also allows posting articles on Blogger, Tumblr, Dropbox, and WordPress in a markdown format utilizing the underscore template engine. HootSuite is a social media management platform that makes publishing as well as scheduling very easy to manage. For scheduling your posts in advance, you can utilize its Instagram options and the publishing will get automated. This app will send you a notification when the time occurs for publishing the posts. Today, Instagram is being flooded with posts and ads. So, regular posting is important and with this app, you can ease your work of publishing. We all know the significance of artificial intelligence and the buzz it is creating today. This technology is automating the manual tasks in almost all the industries. Many jobs are being created in this field and people are learning artificial intelligence by taking training in it. People from many other fields are shifting to this area. Along with other industries, artificial intelligence is changing the way the content is written with its two components. They are Natural Language Generation (NLG) and Natural Language Processing (NLP). Using artificial intelligence, there is a good chance of many innovative tools emerging in the near future that power content writing. Author Bio: This article is written and provided by Mr. Savaram Ravindra.